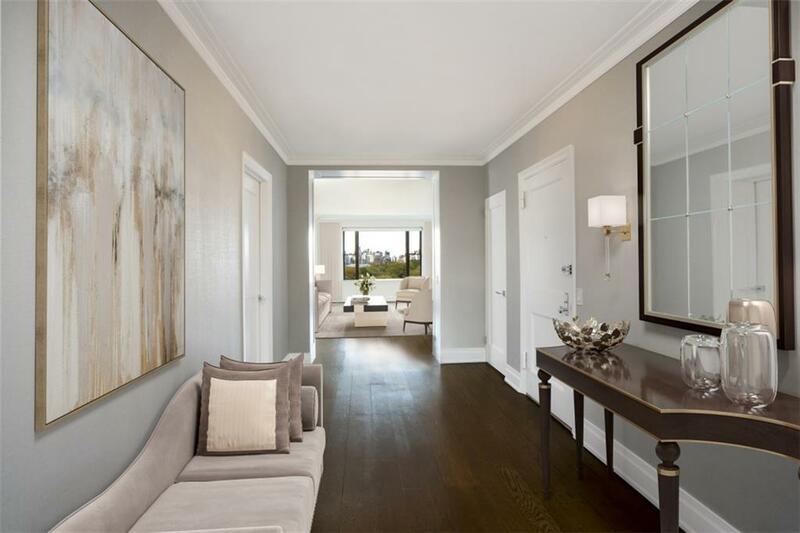 Stunning unobstructed Central Park Views from this stunningly renovated 8 room apartment - with the living room, study & master bedroom all facing the park.With an extensive renovation just completed, this contemporary & pristine 4 bedroom home is ready to welcome its new owner. Bathed in sunlight via west & east exposures, the collection of gracious rooms are perfectly inviting. 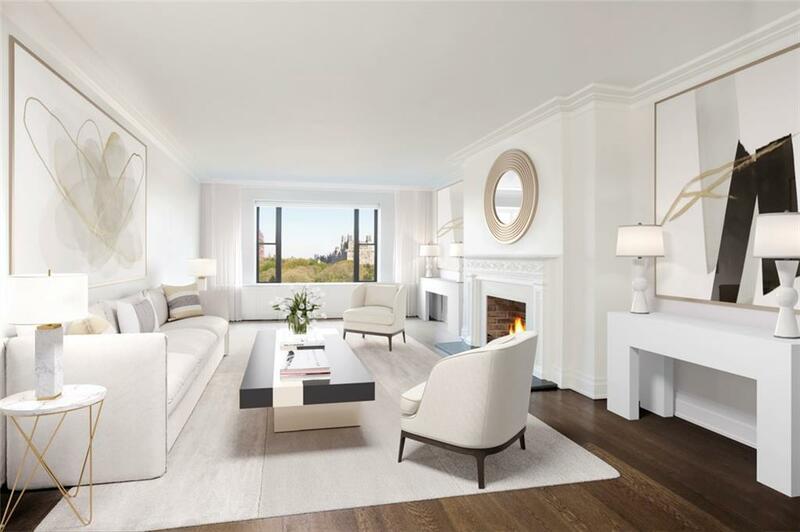 The expansive living room and grand study each feature wood burning fireplaces. 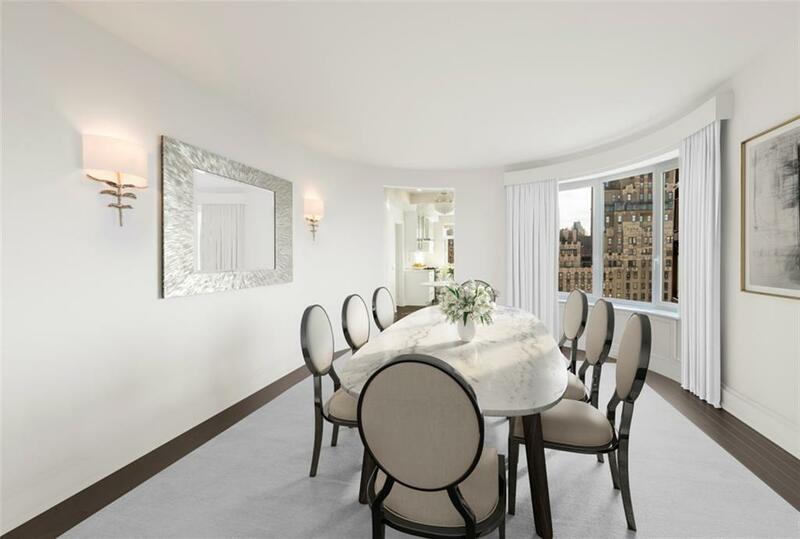 With clear eastern views to the Carlyle Hotel, the eat-in kitchen has perfect morning light - and the view of the Carlyle from the adjacent dining room is even better at night. Outfitted for a chef, the professional series appliances include Bertazzoni range, Liebherr refigerator, Miele speed oven & dishwasher.There are oak floors throughout and the stylish new bathrooms feature a subtle combination of tile & stone. All plumbing and air conditioning units are new. Off the kitchen and adjacent to the 4th bedroom & bathroom, there is also a separate laundry room equipped with an Asko washer & dryer.Full-service white glove cooperative with just 2 apartments per floor. Amenities include a beautiful landscaped roof garden overlooking Central Park, fitness room and live-in Super. A storage bin transfers with the apartment and there is a public laundry room. Pet-friendly and Pied-a-terres are permitted. 3% flip tax. Co-Exclusive. Please note, the photos are virtually staged. Listing courtesy of Kevin Sneddon of Compass.